Synopsis: Young British boys and girls travel to an isolated cabin after being promised a night of heavy partying. Instead of the fun they hoped for, they meet a killer out to reap vengeance on them for the death of his brother. 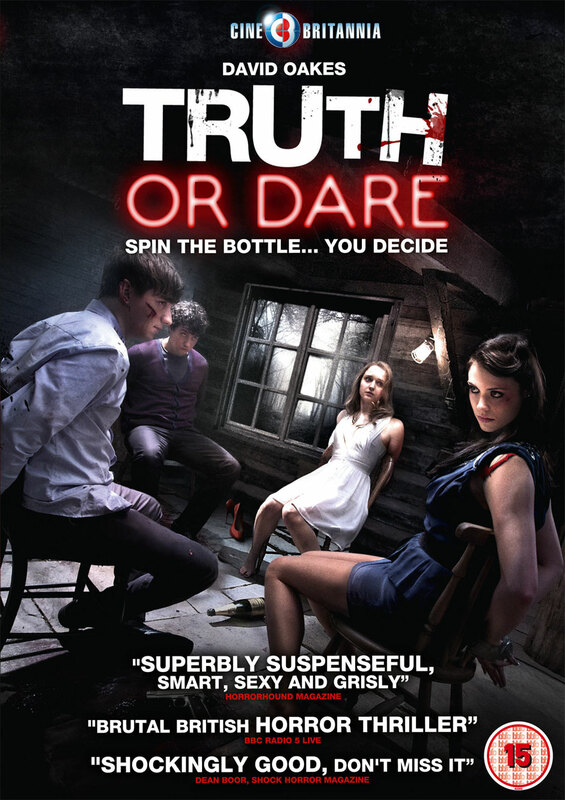 Quick Review: What started as an interesting take on a classic Truth or dare game ended up being a lackluster movie, too afraid to go all the way with its own concepts. Truth or Dare is a UK import with really good production values and subpar acting that starts on solid grounds but somehow loses its way around the 1hr mark. There is a gruesome game involving battery acid but from this point on, the script shies away from any graphic scenes and kind of goes into typical crazy-guy flick territory. Even a “supposedly” shocking double twist can’t save the end, especially when once again the writer have decided to not go all the way with their own story concept. More a thriller than a Horror Movie, Truth or Dare starts with a good premise but ultimately fails to deliver. Click Here to Own and Watch Truth or Die Online Now!